The County of Somogy and its capital, Kaposvár, nestle amidst the rolling hills of South Transdanubia. The history of the city – built among the sloping hills of Zselic – goes back to the time when the Hungarian State emerged and when in 1061 our oldest protected monument, the Benedictine Abbey in Kaposszentjakab was founded. The centre of Kaposvár itself was developed mostly in the second half of the 19th century and in the first two decades of the 20th century. The mainly Eclectic and Art Nouveau style buildings, the streets lined with different species of trees and plants create an attractive and friendly atmosphere. Come and visit Kaposvár to discover all the sights that Kaposvár and its neighbourhood have to offer! The movement „Flowery Kaposvár” started in the 1910s, and is still going strong. Following this fine tradition, Kaposvár went on to win the title „Hungary in Bloom” in 2003, and then again in 2016. 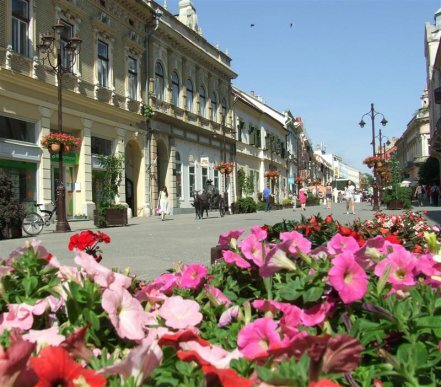 In 2004, the city was awarded Golden Medal in the European competition „Entente Florale”. From spring till autumn, thousands of plants adorn the public spaces. 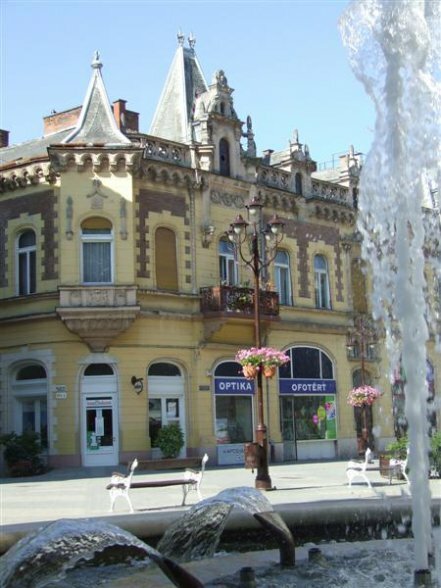 Kaposvár is also referred to as the “City of Fountains”. The first one was erected in 1913 and today more than 25 fountains and drinking wells operate in the city. One can find them not only in the squares and streets of the inner city but as the main features of the roundabouts and housing estates, some of them even offer spectacular light effects at night. 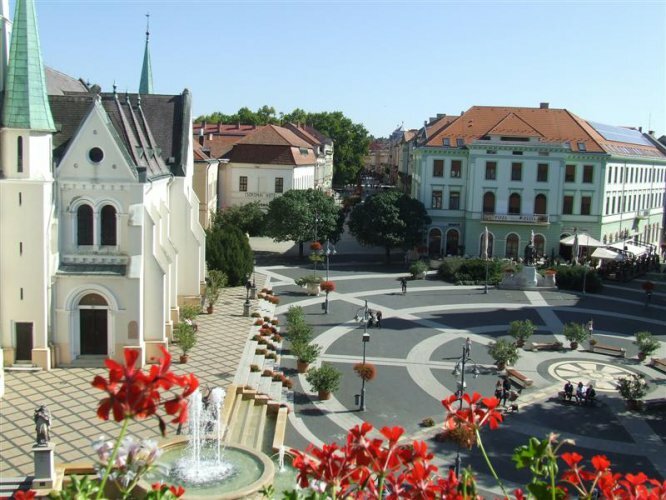 Kaposvár is a really green city, with a number of public parks and lovely trees lining the streets, but it is also very committed to sustainability, the use of alternative energy resources and has an energy saving policy. József Rippl-Rónai’s name is irrevocably bound up with Kaposvár and his memory is kept alive in numerous statues, plaques and even a fountain. The painter was born in 1861 in Kaposvár and after completing his education, he worked as an apothecary and also as a tutor, but his heart was set on painting. Having lived in Munich and Paris, he returned to his hometown in the early 1900s and bought a house in the Main Street where his interior paintings were created. In 1908 he bought the Róma Villa where his social life blossomed. He often hosted the greatest artists of the era and the building and its surrounding park served as a background for his paintings in „cornfield style”. The „Sinbad of painters”, as Rippl-Rónai was often referred to, died in 1927 and was buried in the Eastern cemetery of Kaposvár. His wife, Lazarine continued to live in the Róma Villa for 20 years, till her death in 1947. 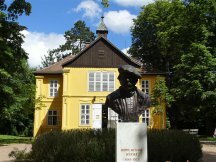 Their heirs kept the furnishings and almost 80 paintings together so the memorial museum - opened in 1978 in the former home of the painter – enables visitors to view the artefacts in their original surroundings as well as in the reconstructed Andrássy Dining Room in the new Visitor Centre. Make sure you admire the landscaped garden around the villa, especially in spring, during the daffodil season! In Kaposvár the traditional carnival period is linked with the Day of Dorottya (6 February) when the Prince of Carnival arrives at the city with a colourful crowd. Visitors and locals alike join the street procession, including the participants of the Carnival Half-Marathon called “Kaposvár’s Hills”. At the end of May, the Rippl-Rónai Festival evokes the magical atmosphere of the time of painters Rippl-Rónai and Vaszary with people dressed up in period costumes, mingling in the crowd. Concerts, stage programmes, an art & craft fair and excellent exhibitions await the visitor, who can also enjoy the Bohemian atmosphere of our vibrant city centre. Júniustól augusztusig hetente zenei és színházi nyári esték szórakoztatják a közönséget. 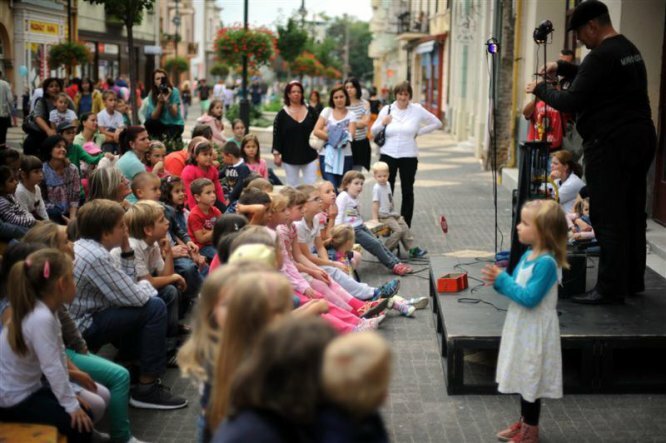 Every week from June till August, outdoor musical and theatrical performances offer entertainment to the public. 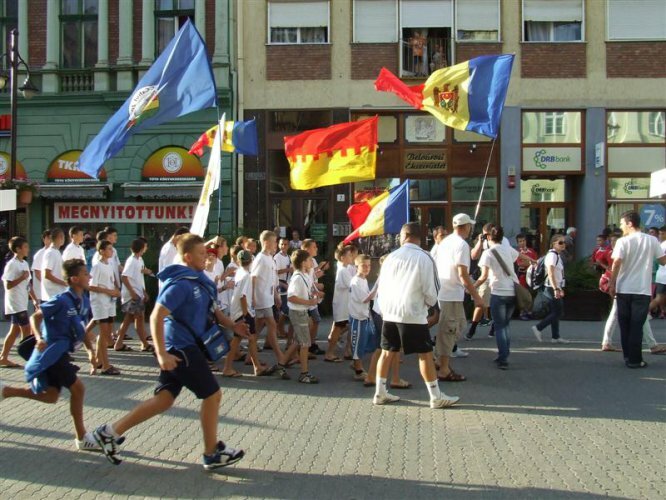 In July, our city is home to an international sports event – football, handball, basketball and volleyball teams aged 9-19 come together from all over the world to participate in the Youth Football Festival. In August Kaposvár hosts one of the most prestigious music events of Hungary – the Kaposvár Chamber Music Festival, where classical concerts by world-famous artists provide unforgettable experiences in the Rainbow Culture Palace. In early September, the end-of-summer festival “The City is Ours” takes place with a string of concerts, soon to be followed by the traditional Honey Festival in mid-September. During Advent, the local community comes together again to celebrate in the city centre adorned with festive Christmas lights. Come and join our programmes! 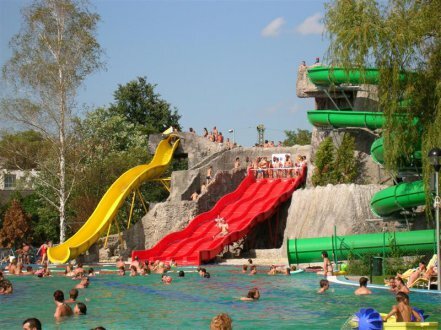 The Flower Bath in Kaposvár boasts the greatest full water surface -2850 m2 –of the region offering a wide experience and high quality services for every age group. Covered adventure pools, a refreshing sauna world, medicinal spas with excellent thermal water, swimming pools and recreational services plus a 25-metre pool await both the young and grown-up alike at Kaposvár’s Flower Bath. The 50-metre pool hosts various sports events, competitions and matches. Try the recreational and medical services of the Flower Bath! Lake Deseda was created in 1975 by damming an eight-kilometre section of the stream called Deseda in its valley. 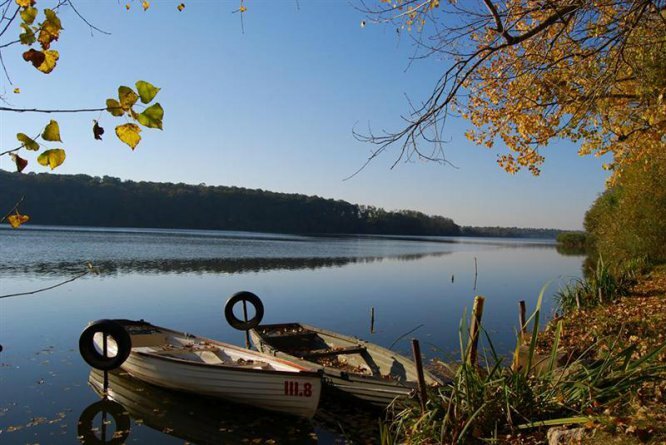 The lake is ideal for fishing and angling, also for boilie - fishing and fishing tournaments take place on a regular basis. Hiking trails, rest points and bridges enable the visitors to walk and cycle around the lake. On the western side a lookout tower offers a wonderful view over the lake and its surroundings. On the peninsula – north of Road N67- an arboretum and the surrounding adventure wood are there to discover and enjoy. Opened in 2014, the István Fekete Visitor Centre can be found on the eastern side of the lake and accommodates an interactive exhibition showcasing the wild life of Lake Deseda. Its most interesting features include a freshwater tank, the scale-model of a life-size oak tree and its inhabitants. The building complex is complemented by an educational trail with stops to observe the flora and fauna of the wetlands, plus a playground for kids and a boat & bicycle rental service. The Deseda pleasure boat also runs from here. Those looking for active tourism won’t be disappointed in Kaposvár either. There are a number of designated walking paths in and around the city, suitable for short or longer hikes. 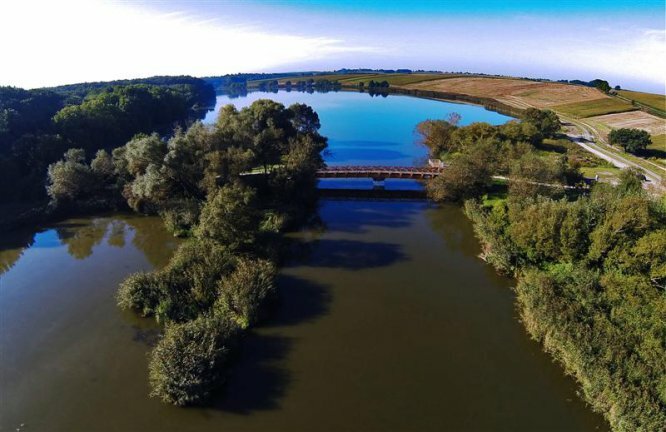 The local bicycle path network has been expanded significantly, the city centre and the outer suburbs as well as lake Deseda are easily accessible by bicycle and there are numerous rest points available. You can take advantage of the electric public bike system and e-scooters. The City Parks are ideal for the lovers of sports, offering a running track, a parkour course, a skate park, football pitches and a basketball court. The countryside in Zselic is one of nature’s wonders. Being one of the least light polluted areas in the world, it is the perfect destination for those interested in the starry sky. The Star Park of Zselic – a tourist facility offering various services – provides an unforgettable experience with its expert staff, observatory, telescopes and programmes organised on a regular basis. The building complex comprises five information points and a 25-metre high look-out tower from where you can see as far as the Lake Balaton to the north or Croatia to the south. The small villages dotted in the Zselic area have hidden values. 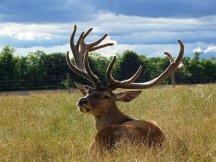 The deer farm in Bőszénfa, the Europa Nostra Award winning Ethnographic museum in Szenna or the adventure farm in Patca are all there to discover. Kaposvár awaits all! Our city offers such programmes, venues and destinations which are available to all and are easily accessible to those living with disabilities. Kaposvár has been paying special attention to the needs of the disabled. 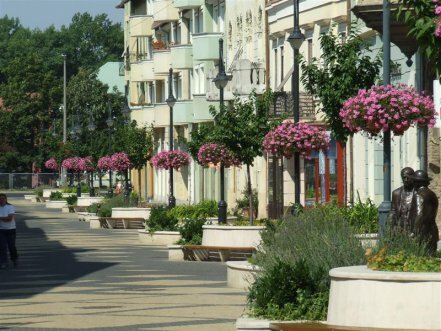 Recently, Kaposvár has implemented projects which increased the comfort level of the locals and visitors alike. Since 2009, a Braille map, leaflet and an audio guide material have been available to the blind and visually impaired. The bronze scale model of Kossuth square was made and the deaf and hearing impaired can learn about Kaposvár from a film with subtitles and sign language. The Tourist Information Office, the public places in the city centre, the venues of the major cultural events and the main tourist attractions are all accessible. Kaposvár is the 2013 winner of the competition launched by the European Committee called EDEN (European Destination of ExcelleNce), which focused on accessible tourism. Kaposvár also got Special Mention in the European Committee’s Access City Award for its commitment to accessibility. When in Kaposvár, visit the Tourist Information Office for the latest information on local programmes and the sights in and around Kaposvár.